My ankle has taken longer than I had expected to heal. In the back of my mind, I was hoping to be ready to run Two Oceans half marathon this coming weekend but that doesn’t look realistic now. I’ve been doing my rehab exercises and taking extra care of my foot in general. I’m fully aware that an injury and pulmonary embolism doesn’t just heal overnight – the daily blood thinners remind me of the nasty ordeal. One small way I’m giving back to my ankle is by wearing comfy, supportive shoes. I can’t believe the pairs of shoes in my cupboard that offer almost zero support! It’s ridiculous that women still buy such dreadful shoes! But then, I happened to spot gorgeous sandals on Instagram and had to have them! They’re imported from Greece and kinda remind me of Birkenstocks (another one of my favorite brands). I tracked down Maxie Moda & bought these two pairs. I couldn’t resist! These are my feet in the tan pair. Super comfy! To be completely honest, I wasn’t just thinking about my ankle and a new pair of shoes. But since we’ve been running with our small business, CW-X, it’s become very important for me to support other entrepreneurs. Just knowing how incredibly tough it is out there, to get your name established, to attract customers and make a sale. It’s hard work! So I’d rather buy from another small business and support their vision than buy yet another uncomfy sandal from Woolies with no support for my ankle. I’m keen to look for other nuggets hidden across Jo’burg! This is an unsponsored post and my own opinion. But I urge you to support your family & friends who are trying to grow their businesses. Technology frees up time. But the tragedy is that we use that spare time to be even more busy. We work more instead of doing the things that bring us joy. There have been a couple of articles floating around describing society’s busyness as an epidemic. Our self-created stress. The crazy thing is that we sacrifice the activities that help de-stress us. Our hobbies, our down time, the time for gym, running, cycling, playing with the kids or walking the dog. Making time has become harder and harder. Notice, I said “making” and not “finding” because as my running Junkie friend Brenda always reminds me, you will never find time. You need to make it. Pack your gym bag for the whole week, not just one session. I fill my bag with x4 gym kits for the week ahead. Socks, tops, the works. 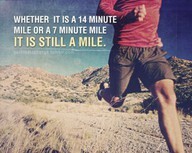 This commits me to training for the entire week with no excuse that I did not have time to pack my bag. Try a service such as UCook which helps take the pain of deciding what to buy & cook away. We have been testing out UCook for the last three weeks. The big win is that supper is decided a week ahead & when I get home, all I do is grab the brown paper bag full of delicious fresh groceries out of the fridge and off I go. No need to think of creative meals and defrost and prepare. All of this is done for you! Train whenever & wherever you go. I had almost cancelled a meal at my Dad last week because I had not yet completed day 4 of my training program. I realized that doing the program would be simple enough to do in his lounge, while he cooked supper. I arrived at his place, threw my gym mat on the floor and with Shadow, my favorite dog, circling me, I managed to do my x3 sets of squats and lunges (before we tucked into macaroni cheese). Monitor your steps. I’ve started to track my steps during the day to monitor when I’ve been vegging at my desk and only taken 3000 steps compared to some days when I’m able to reach a goal of 10 000 steps. On the low days, it’s easy to re-route myself and take the stairs to the staff parkade and even head out for a 20 minute walk to watch the sun set, just to ensure I’ve moved. Weekday/weekend runs are the new coffee catchups. Meeting up with a friend for a walk or run is the killing two birds with one stone philosophy. You have no idea how much chatting you do when you’re running together, but also how great you feel after the run. Skinny & loved! *jokes* There are so many opportunities to do this that have popped up too; Parkruns and CMIYC (Catch me if you can) come to mind. Winter is coming! Seriously though, the darker morning and evenings limit the time we have to spend outdoors even more. It’s cold and every fibre of your body will beg you to stay under the covers. So that’s why I’m putting plans in place and getting into the habit now to make time for the things that matter. Any tips you want to share that have worked for you? These were the words that KK Whatsapped me three weeks ago after seeing the sports doctor. He had been in agony since July with a gnawing pain in his thigh which would not go away. Needling and massaging by the physiotherapist, to more massaging and prodding by a chiropractor, and then more elbowing from yet another physiotherapist but the pain lingered on. He followed a strict regime of icing, heating and foam rolling daily. Nothing helped. It was only after a final recommendation of X-rays and MRI scans that he found the answer. It was bad news. A fractured femur. Don’t even ask how because he doesn’t know. It just happened. Similar to how his pelvis cracked two years ago. It’s no wonder the pain didn’t go away. The really bad news? No running. No jogging. No walking. No swimming. No gym. Not even a parkrun. He has been instructed to rest. It was only 5 months ago that he ran Comrades and had already set his sights on next year’s race. Right now, it’s uncertain how long recovery will take but he knows that he won’t be running Otter, Kaapsehoop, Dischem, Pick ‘n Pay (his favourite marathon), or even Two Oceans. Will he be out for Comrades? The good news (?) is that there’s a possibility that the medication he was talking for the low bone density / pelvis fracture issue actually caused him to fracture his femur. One main precaution of taking Fosavance is … wait for it… fractures of the femur! The endocrinologist dismissed Fosavance as a ‘drug from the dark ages’. Google it and the first page of search results are all lawsuits against the manufacturers of Fosavance for femur fractures! Crazy! So now we wait for the results of the blood tests and in the meantime, KK’s focused on other hobbies to keep his mind busy. And by other hobbies I mean Cookie Jam because let’s face it, runners don’t have any other hobbies! There’s a lesson in here somewhere, I know. Running makes KK happy. 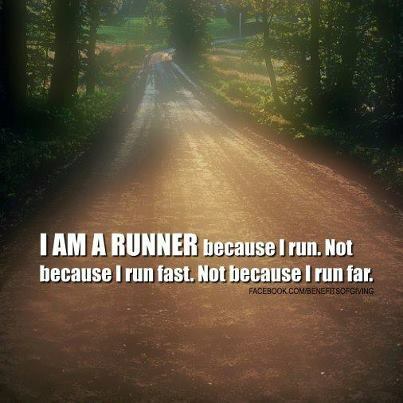 So what do you say to a runner who can’t run?